The accused of the Pradyuman Thakur murder case confessed his crime in front of his father, the Central Bureau of Investigation (CBI) told a juvenile court. The cold-blooded murder case of seven-year-old Pradyuman Thakur took a new dimension on Wednesday after the CBI trashed the probe by the Gurugram Police and gave a clean chit to the bus conductor arrested with charges of murder and sexual assault in connection with the case, and arrested a juvenile. The CBI then produced the accused juvenile, a class 11 student of the Ryan International School, Gurugram, before the Juvenile Justice Board and demanded his six-day custody. The juvenile court, however, granted only three-day custody with a rider that the accused can only be questioned from 10 a.m. to 5 a.m. only. ANI accessed the CBI remand copy, which it submitted before the Juvenile Justice Board on Wednesday. It says, "On the basis of minute inspection of crime, analysis of the CCTV footage and movements of the students near the scene of crime, and questioning of students, teachers and other staff of the school on 7.11.2017, the CBI has identified and apprehended juvenile in conflict with law at 2330 hours. He has admitted his involvement in committing the murder of Master Pradyuman Thakur on 08.09.2017 in ground floor boys washroom of Ryan International School, Gurugram in presence of his father, independent witnesses, welfare officer of the CBI." The probe agency also told the juvenile court that the juvenile's father was informed about his son's arrest. The accused was also medically examined on November 8 at 0330 hours at the Safdarjung Hospital. India's premiere probe agency has said the accused committed the crime in order to postpone the parents-teachers meeting and the exams. "The age of the arrested student falls in the category of 16 to 18. Therefore, there is an option with the board to try him as an adult. We demand a strict punishment for him, and we'll ensure he is tried as an adult and is hanged till death," Sushil Tekriwal, the advocate of Pradyuman's family, said on Wednesday during a press conference here. The advocate, however, did not rule out the involvement of the school management in shielding the student. "We still believe there is a deep-rooted conspiracy hatched on part of various people, including the student who has been arrested today. 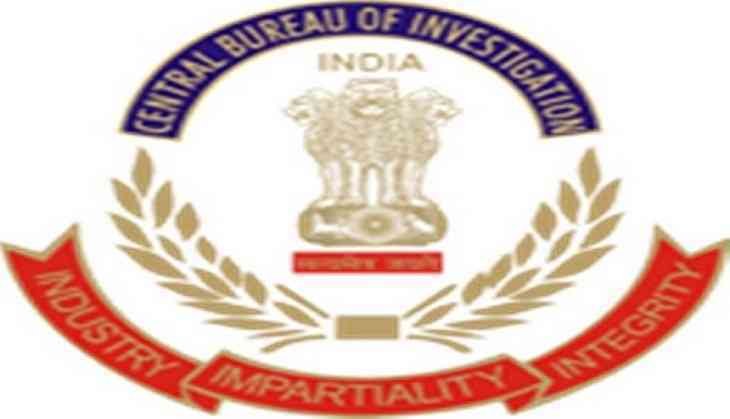 The CBI inquiry also indicates involvement of the Pinto family, and it has not ruled out that possibility," the advocate said, adding, "Wiping out all evidences could not have been possible without involvement of the top notches." Varun Thakur, father of Pradyuman Thakur, said, "We request the CBI for further investigation and frame charges against everyone involved so that a strong message is conveyed and a criminal thinks twice before committing such a crime." Earlier in the day, Pradyuman's mother also expressed agreement with the arrest, reasoning that the investigative agency must have found proof to apprehend the concerned student. "If CBI has caught hold of that child then they must have had some evidence or proof. We have been saying this from the start that not only us, no one was able to digest the theory of the police," Sushma Thakur told ANI. Thakur added she had faith in the CBI since the beginning and had therefore been demanding an inquiry by the agency into the case. The CBI was handed over the case on 22 September. Meanwhile, Gurugram Police Commissioner Sandeep Khirwar on 9 November defended their investigation by saying that they handed over the case to the CBI at a very initial stage and it was not concluded that time. The police commissioner said that they were not under pressure to save the culprit and asserted they made an "honest attempt to bring justice to the family".